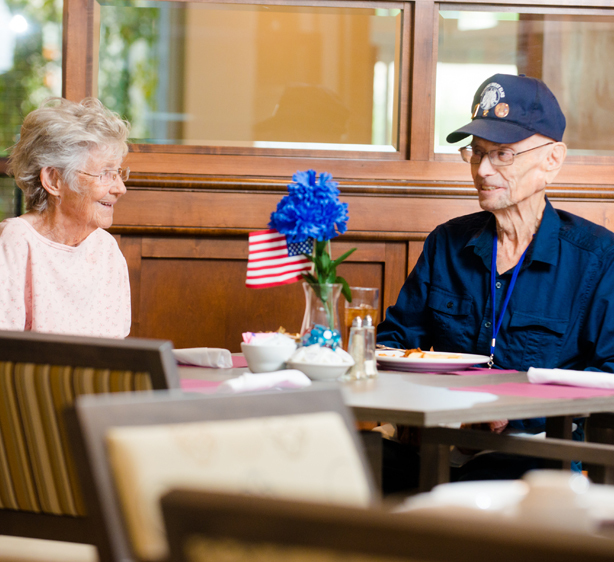 Bridgewater Assisted Living has found a way to make senior living affordable and enjoyable. Today’s costs for assisted living are not cheap. We have heard countless stories from many seniors that they can’t afford to live in an assisted living community, they simply don’t have the monthly finances or savings to cover the costs. This is the greatest fear all seniors live with. All Bridgewater communities offer income qualified opportunities. Simply, if you make less than $2,420 per month, and you need daily assistance in your living, you’ll likely qualify. That is why we provide our Community Benefits Advocates, they are available to assist with confirming eligibility, patiently walk through all steps, and help with the paperwork, and much more. Here’s something even better: our apartment rents and care rates are extremely low for each level of care we offer. Best of all, we don’t charge community fees or deposits, only a very reasonable application fee.